This means that the vast majority of consumers are seeking a good deal. Everyone appreciates a good deal, right? Maybe it’s more accurate to put it this way: Everyone appreciates thinking they’re getting a good deal, even when they aren’t. Recognize that people do indeed seek discounts, but they must be implemented properly to earn the rewards. If you do the math, you will understand that this statistic is true. It’s simple enough, but consumers fail to realize this and will typically opt for getting more instead of paying less. 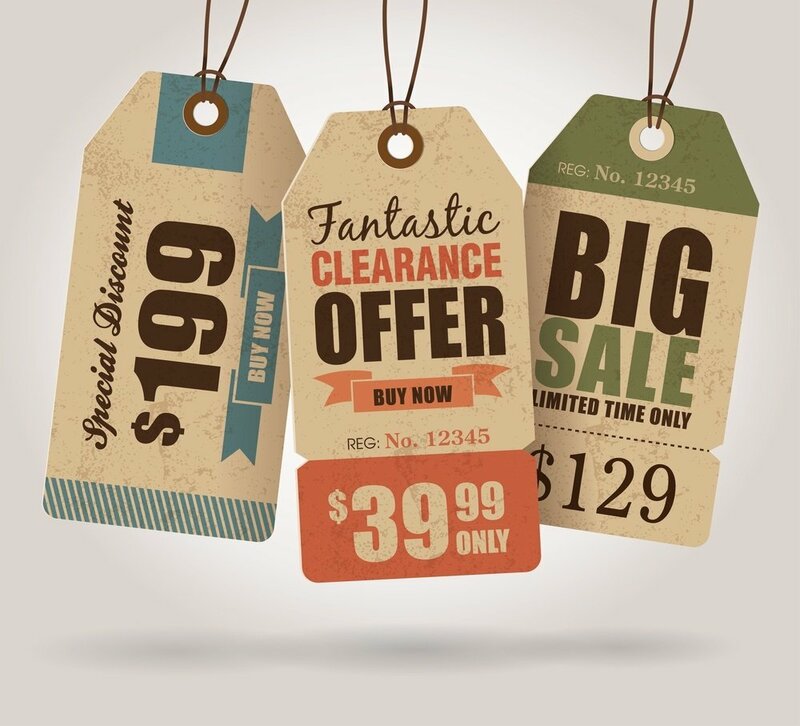 When planning your brand’s next discount, consider offering a larger quantity before offering a reduced price. Going along with quantity over reduced price, one study showed a 73% increase in the sale of lotion in a value pack. Consumers opted for the larger quantity over the other option, which was a reduced priced for a reduced quantity, but at the exact same price. When applying this statistic to discounts and sales, don’t forget to offer insight into how your brand will make lives easier, solve a problem, or provide something to simplify everyday life. People like to think their purchases will help them in some way, whether it’s the simplification of a process or time savings. This is a given, but so many sales teams fail to realize consumers’ visceral reaction is to avoid pain and approach pleasure. In discount marketing, this means you must strategically word the discount. Instead of offering 50% off, opt for “buy one get one free.” Consumers love to get (or think they’re getting) something for free. This statistic proves that, regardless of the varying opinions out there, consumers are receptive to email marketing campaigns. If you aren’t employing email marketing, your sales team might want to consider it. This is yet another statistic that proves the power of email marketing. People have come to rely on their inboxes as a possible source for locating a good discount. Don’t disappoint your customers. Even more popular than free shipping and loyalty rewards, consumers want a price deduction before anything else. This means that consumers are drawn to a price reduction, but this shouldn’t negate the effectiveness of offering free shipping. Free shipping attracts consumers almost as much as offering something for free. Studies show that people are more likely to buy something at $5 with free shipping and pass it up at $2.50 with a $2.50 shipping fee. This season. Seasonal deals, sales, and discounts make sense in the buyer’s mind. Associating a discounted rate with a particular season is a wise move and won’t likely come with negative implications. Bundled deals. Consumers tend to resonate with bundled deals because they typically seek quantity. This is good for you because it also means an increased sales transaction. Prepaid discounts. This is a win-win. Consumers get a discount that they don’t feel hazy about, and you keep your accounts receivable current. Discounts drive marketing, so it’s imperative that you properly utilize them to gain the most from your sales efforts. Remember that when you impose a discount, you are typically shifting the focus from your product and instead placing it on the price. Keep in mind that if you engage in discounts too often, you will never escape your brand being synonymous with a markdown. Be strategic about offering discounts and consistently re-evaluate your marketing plan – and your sales team will be more likely to succeed.